Note The forest area of Tanjung Amolengo Wildlife Reserve is designated as Wildlife Reserve based on Decree of the Minister of Agriculture No. 423 / Kpts / Um / 10/1975, dated 23 October 1975, with an area of 850 Ha. 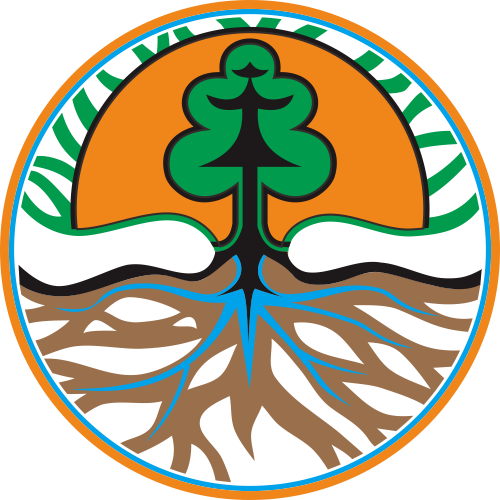 However, due to the development of settlements in the north of Amolengo and Rumba – Rumba villages, the area has been reduced to 605 ha and has been laid down by Sub BIPHUT (Sub-Center for Inventory and Perpetaan Hutan) of Kendari in cooperation with BPN (National Land Office) and The Regional Office of the Department of Forestry of Southeast Sulawesi Province in June 1996. The topography of the Tanjung Amolengo Wildlife Sanctuary is relatively flat, slightly undulating in the center of the area with 5-30% slopes. The soil type is Podsolik Merah Kuning (Ultisol) in primary and secondary forest and Regosol type (Entisol) in mangrove forest. Based on Intag Center Thematic Map; P & P Scale 1: 500.000 Southeast Sulawesi Province, this region has a type of neogenous sedimentary rock. Identification Temporary identification in this area is: at least there are 41 species of tree berhabitus plants including 22 families, 12 species of herbaceous plants and shrubs including 2 families, 7 species of grass from 3 families. The types of plants that dominate this margastwa sanctuary area are among others nguru / rumu (Tarrietia riedeliana), agel (Corypha utan), rumbei (Pterospermun celebicum) and corumba, sio (Evodia sp), rogo (Croton sp) tongke (Bruguiera gymnorrhiza) , mangroves (Rhizophora apiculata) and tangir (Bruguiera caryophylloides).